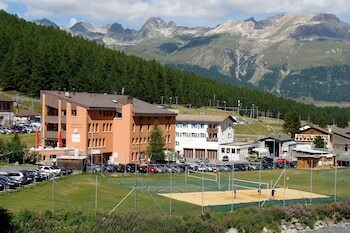 With a stay at Youth Hostel Pontresina in Pontresina, you'll be a 1-minute walk from Swiss Alps and 14 minutes by foot from Alpin Museum. Featured amenities include dry cleaning/laundry services and luggage storage. Event facilities at this hostel consist of a conference center and a meeting room. Self parking (subject to charges) is available onsite. With a stay at this apartment in Elm, you'll be a 1-minute walk from Swiss Alps and 15 minutes by foot from Elm Cable Car.